There are a lot of interesting and exciting things you can do in Palawan, Philippines. With its abundance of rivers, caves, lagoons, reefs, waterfalls, beaches, national parks and so much more sights to see and places to visit, you get an endless list of activities to try and areas to explore around this stunning island. 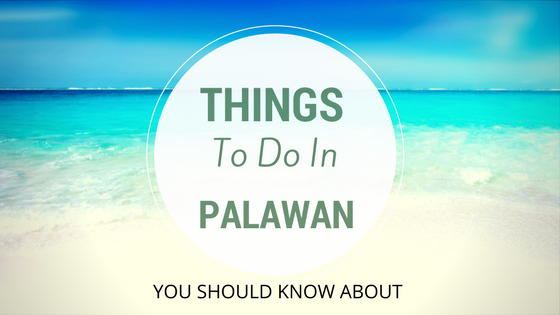 With all these things to do in Palawan, you will be fairly busy. 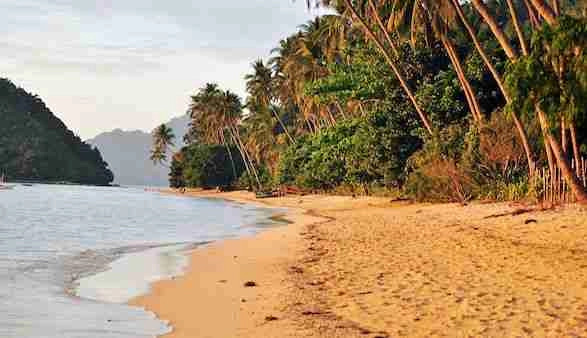 Palawan is found in the country’s southwestern part and it is the biggest province when it comes to land area. This also serves as the home to two named UNESCO World Heritage Sites, which are Tubbataha Reef Marine Park as well as Puerto Princesa Subterranean River National Park. If you are planning to visit Palawan anytime soon or you want to tick it off from your bucket list, here is a short list of things to do in Palawan Philippines. When in Palawan, make sure that you don’t forget to go on an adventure in the world renowned underground river. Located 50 kilometers away from the city of Puerto Princesa, you will get the chance to see for yourself the wondrous splendor of St. Paul’s Subterranean River National Park as you ride a paddle boat for your tour. You get an hour of basking in the hidden gems of natural treasures in the area and you will see for yourself why this has been named as among the new 7 Nature Wonders of the World. Definitely, one of the top things to do in Palawan. This would take you around the beautiful city of Puerto Princesa. You’ll see the Iwahig Penal Colony, Mitra’s Ranch, Baker’s Hill, Crocodile Farm, Plaza Catuel, Immaculate Conception Cathedral and some spots you may like to visit. More than diving, there are still lots of things you can do in Coron Bay but there is no doubt that scuba diving is the best water activity to try if you are in the area. 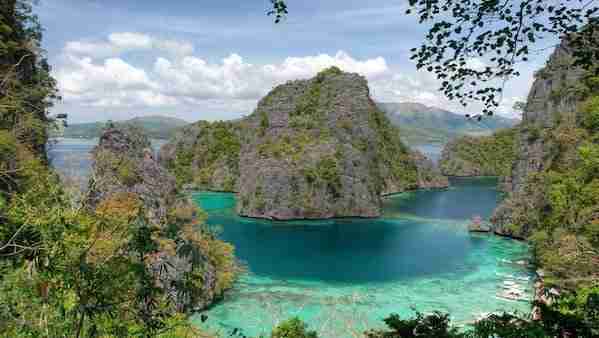 Found in Palawan’s northern part, Coron Bay is currently one of the island’s most visited destinations. Well, this is not a big surprise considering that this is a true paradise on earth that boasts of breathtaking views. 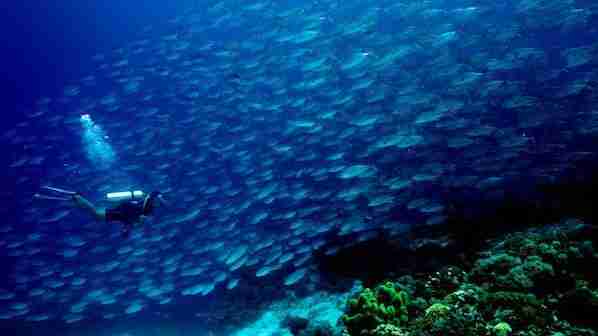 Nestled between Busuana and Culion Islands is the best diving spot in Coron. This is even dubbed as the best wrecking diving in the world. The magnificent rock formations give tourists the chance to snorkel as well. You can bask in the visibility at 20 meters underwater as you interact with the marine creatures living there. If you’re at the market of San Jose, you may purchase some fresh seafood and have these grilled for your lunch. There are some portable grillers or grilling stations in the area to help you ready your own meal. Tourists may also get lobsters for a great breakfast while enjoying the colorful and beautiful fishes near the shore. Usually, it happens early in the morning. Thus, if you like to see them, consider going by the shore around 6 am. At 238 kilometers away from Puerto Princesa, the El Nido Marine Reserve boasts of stunning rock formations and bay views. From there, it is also a must to drop by at the Bacuit Bay and the country’s biggest wildlife preservation area. The diverse ecosystems which include coral reefs, limestone cliffs, mangroves, rainforests, and white sand beaches never fail to make tourists feel in awe. You can also be up close and personal with the dugong or sea cow, hawksbill turtles, and other types of marine mammals that can only be found in this part of the world. The Pambato Reef is one of Palawan’s best snorkeling spots where you can swim amidst live corrals, clownfish and sea anemones. The best thing about this activity is that there is no time limit. So, you can see a variety of lovely creatures underwater and have fun. Making this one of the top things to do in Palawan. But, there are cases when sea creatures are hard to come by so it is advisable to be patient when you’re snorkeling in this area. Aside from that, it would be a good idea to bring an underwater camera to capture some remembrances while you’re snorkelling. 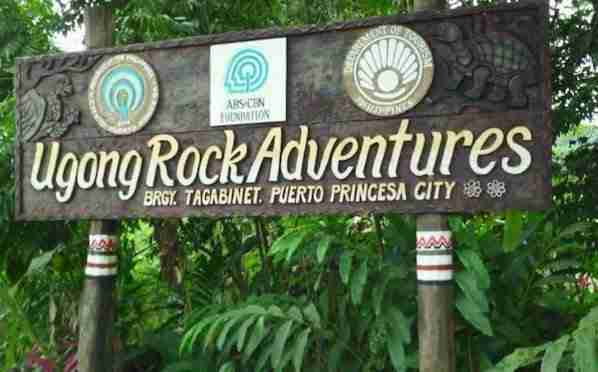 Several kilometers to the known Sabang Beach, you may visit Ugong Rock and have a caving action together with your family and friends. This is typically done after exploring an Underground River by paying a small amount of fee per head. You may also try this if you have not done caving activities yet. 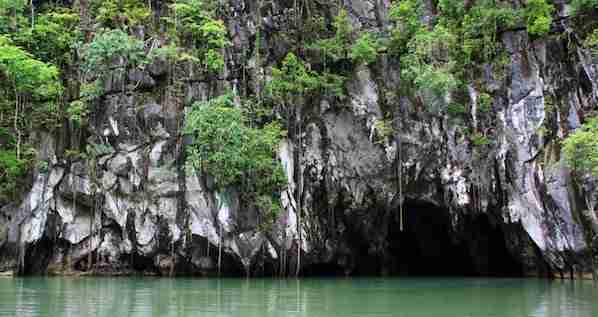 This would provide you an unforgettable adventure in the Ugong Rock cave’s mysterios inside in Sabang, Palawan. The islets and reefs offered by Honda Bay will surely amaze you because of the different fishes and sea creatures that vary in colours and shapes. Moreover, you may explore the shallow waters that cover the beach’s powdery white sand. Whether you like to snorkel or take a swim, it’s an ideal place for everyone. Your adventure in Palawan wouldn’t be complete if you won’t dive in Tubbataha Reefs. It is a national park that offers an underwater sanctuary with amazing marine life. In case you did not know, it’s actually included in UNESCO World Heritage Site and a national marine park that was first constructed in the country of the Philippines. Definitely, one of the more interesting things to do in Palawan. If you want to enjoy a day hopping from one island to another, Dos Palmas Island Resort is a great place to be. For a particular amount of money, you may take advantage of the facilities of the resorts including billiard tables, bikes, and snorkeling gear. You may also enjoy hearty buffet meal and live island music. In terms of transportation, you’ll be picked up to and from your hotel so there is no hassle. Palawan has loads of guest houses, hostels, and hotels. Here are a few places to check out if you are planning to visit Palawan Philippines. Globetrotter Inn – Palawan Inc offers at the hostel, every room has a wardrobe, a flat-screen TV and a private bathroom. Free WiFi is available to all guests, while certain rooms have a terrace. One Manalo Place has an outdoor pool and spa. One Manalo Place has a variety of rooms and suites with a private bathroom in Puerto Princesa. It has 2 on-site restaurants and provides free Wi-Fi in the common areas. All rooms and suites have a flat-screen cable TV, and safe. Private bathroom includes a hot and cold shower, hairdryer and free toiletries. Featuring free WiFi access and a restaurant, Best Western Plus The Ivywall Hotel offers accommodation in Puerto Princesa, 7 km from Honda Bay. All rooms are air-conditioned and comes with a flat-screen TV with cable channels. Operating a 24-hour front desk, the friendly staff can assist guests with laundry/dry cleaning services, currency exchange and luggage storage. Once you visit Palawan, you will have plenty of options to visit, explore, discover and things to do in Palawan. All you have to do is to choose the activities you prefer and start enjoying what the island of Palawan has to offer. And that’s it for now! 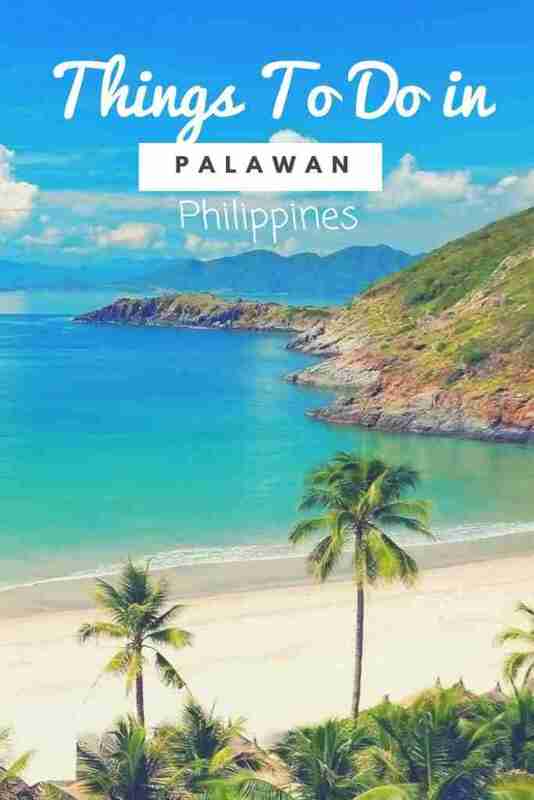 I’d love to know if this guide on the things to do in Palawan Philippines has helped you. Let me know if you have any questions and let me know if you go.